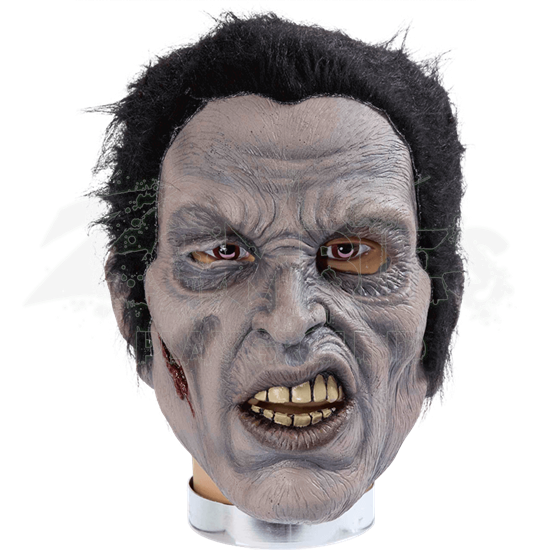 Does this Rockabilly Zombie Mask look a touch familiar to anyone else? At any rate, this piece combines the classic look of a rockabilly star with the modern-day image of a flesh-eating zombie to make one really awesome mask. After all this time, it looks like the King really was not dead. He was just undead. This mask is equal parts novel and incredible, featuring a grayed and deathly looking complexion that has not yet progressed to out-right decay yet. The eyes are sunken and shallow, just like much of the skin covering its cheeks, while all of its face is covered in fine wrinkles that give the zombie a dried, desiccated look. The short, black hair is slicked back, while its mouth is opened in a very unique expression, its upper lip quirked higher on one side. Along one of the zombies cheek is a deep, bloody gash, which is the only wound this zombie possesses. The mask features two eye slits, which provide the wearer with clear, unobstructed vision. The masks mouth is also open for convenience. It is designed to be worn over the head, providing full coverage to the wearer. Are you an impersonator zombie out of Las Vegas, or are you looking to be the real undead deal? 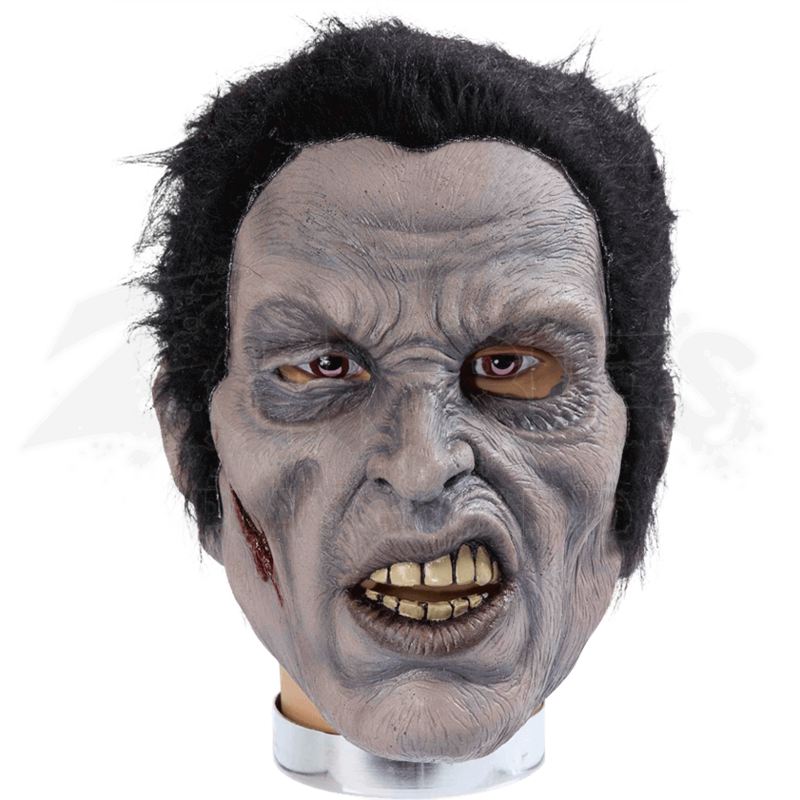 Either way, the Rockabilly Zombie Mask is there to help you complete your fusion of the walking dead and early rock and roll.